It is a well-known fact that most businesses earn more money from existing customers than from new ones. Every business dreams of luring in a customer and then keeping them for several years so they can continue to sell to them time after time after time. But buyers are generally promiscuous. They are rarely loyal to brands, instead seeking out the best value for money. One day they will shop on one website, the next they’ll choose another. As long as it is a good deal, who cares? Well, businesses care, for a start. Unless they can keep the ratio of loyal customers high their costs increase as they need to generate more original business. But what can you do to make people more loyal to your website or brand? Here are five tips based on the latest psychological research. Research in Taiwan has discovered that the quality of service that customers receive is fundamental in their decision as to whether or not to remain loyal. Provide excellent, above expectation service and people will be loyal even if you mess up. Online that means having live chat, responding immediately to social networking messages and having email systems that are robust and enable rapid responses. It also means having a highly visible phone number so people can talk with someone. The online fashion store Zappos was so good at providing levels of service that were led from the heart by the company’s founders that it became a legend. So much so, that Amazon bought the store for $940m and kept it as a separate brand, not integrating it within the Amazon behemoth. The Zappos ethos came from the top; its leaders are renowned for wanting to provide a great place to work, that leads to a fantastic customer experience. For other online firms, learning from Zappos suggests that the people at the top need to take more ownership of the website, seeing it as central to the business and all that it desires. Customer satisfaction is based on whether or not what an individual buys does what they want. Having a product that almost does the job, or a service that only partway goes where it needs, may get you custom because it is cheap, but the customers will not come back. 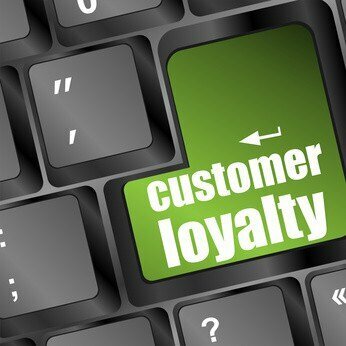 Research shows that customer satisfaction is essential to ensuring loyalty. People are rarely satisfied with second-rate products and services. For online firms that means making sure that everything you sell is “top notch”, otherwise you are in the commodity business. Research from the University of Houston shows that the greatest predictor of customer loyalty is monetary value. People intend to remain loyal, feel more attraction to a company and think about being loyal when they get a sense of value. That does not mean that people need to see the lowest price. Instead, they need to see value. As the finance site, Mint, shows when it asks “How does pricing affect customer loyalty?” it is the issue of “reference pricing” that is essential to get right. This is where people can see how much something is worth in relative terms. When they can get the right sense of where your product or service sits in comparison with others, they can judge its value. When that value is high, they remain loyal. For online businesses this means doing your own comparative pricing service on your website, rather than leaving it to some comparison shopping site. These five tips will help you increase your customer loyalty, thereby reducing the costs of gaining new business and helping your profitability.